Every type of business has a core set of metrics that must be tracked to help influence key decisions, forecasting and business growth. Software-as-a-service (SaaS) businesses are no different and have a clear set of metrics that should be tracked during a specific phase of business growth or over its entire lifetime. Increasing MRR from expansion or net-new sales is the key to growing a SaaS business, and is measured by calculating the total recurring revenue generated from your customer base (excluding non-recurring service revenue, etc.). MRR should be reported on over standard time periods— generally customers at the start of a month and customers at the end of that month, or expanded into cohorts of 60 days, 90 days, etc. Increasing MRR should be a core goal of a SaaS business's marketing, sales and customer success teams. 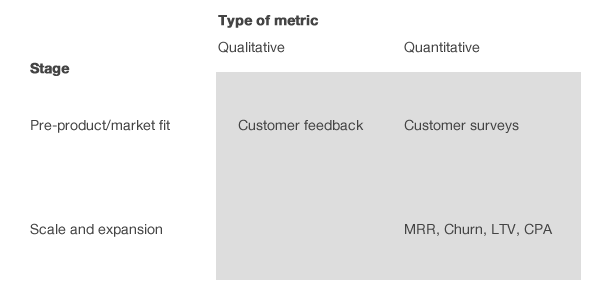 When assessing MRR alone it is important to keep in mind that it can be limited as a metric because it does not account for churn or lifetime value, however it still provides critical high-level insight into the health and growth of a business. Customer retention and expansion are key to sustaining and accelerating your companies growth goals. Because of this, one of the most important metrics a SaaS business can measure is churn. Churn can be measured in many different ways to but at its core, churn is the percentage of customers who were able to cancel their subscriptions to your product over a certain time period and did so. Just as a high churn rate can inhibit a business from being successful, negative churn is a powerful growth mechanism. Despite this, 86 percent of SaaS executives are focused on funding and prioritizing new customer acquisition, while only 56 percent are focused on new customer renewals, and only 74 percent report measuring churn at all. Because of this, over the past few years we have seen the rise of B2B SaaS customer success teams as a critical part of successful businesses with their sole focus on helping customers successfully implement the product and leverage it successfully. Looking at customer churn is a fantastic starting point, but taking the next step and looking at churn and MRR together can give you greater insight into the business, enter net MRR churn. Net MRR churn is important because though a basic churn measurement of percentage of customers lost is important, it does not identify what percentage of overall revenues was lost. 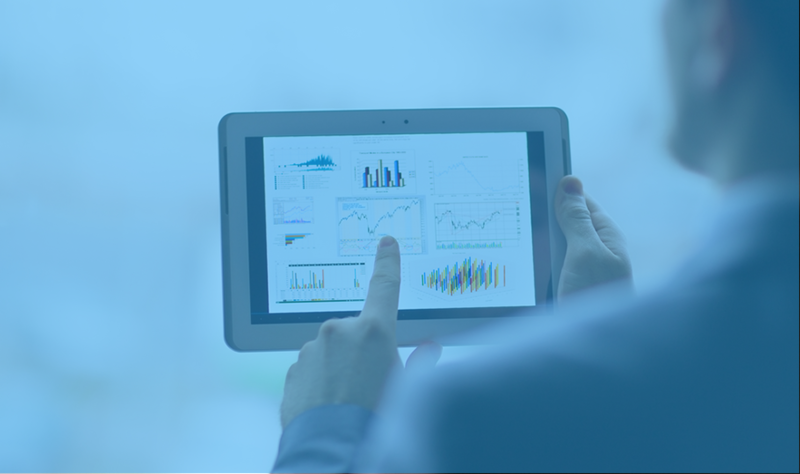 Net MRR churn enables insights into the dollar value of the churned customers. This is the number that will become negative if the expansion revenue from existing customers starts to outstrip the lost revenue from churn. Customer acquisition cost is the fully burdened marketing, sales cost of acquiring a customer. It is a key financial metric that marketing leaders should be expected to calculate and report on. Understanding the requisite investment required to acquire a new customer is critical to budgeting and tactical allocation towards the most profitable tactics/channels. Not only will a lower CAC allow you to acquire more customers, it will also decrease the amount of time it takes to recover that cost and increase customer lifetime value (LTV). This is in large part why content and inbound marketing has become such a valuable marketing tactic for SaaS businesses as it offers compounding returns and enables more capital efficient acquisition. CAC can provide even more insight when analyzed alongside customer lifetime value. This will enable you to see the net profit the business will generate for a given customer. There are two ways that it can be measured, gross CAC (before churn) and net CAC (after churn). The amount of revenue generated per customer on average across your entire client base over their entire lifetime. Customer lifetime value (LTV), when analyzed alongside customer acquisition cost and churn make up the first essential metrics for scale- and expansion-stage companies. These metrics enable companies to determine what capital is needed to invest in customer acquisition successfully, and how profitable those customers will be for the business, as well as the challenges associated to retaining and growing a customer base. Finally, LTV:CAC ratio provides insight into how profitable a customer will be for the business over their lifetime and the return your business will see from that customer. Successful SaaS companies generally realize a 3:1 ratio. For example, if $1 is needed for marketing and sales to acquire a customer, $3 should be generated by the recurring revenue from that customer over their lifetime.